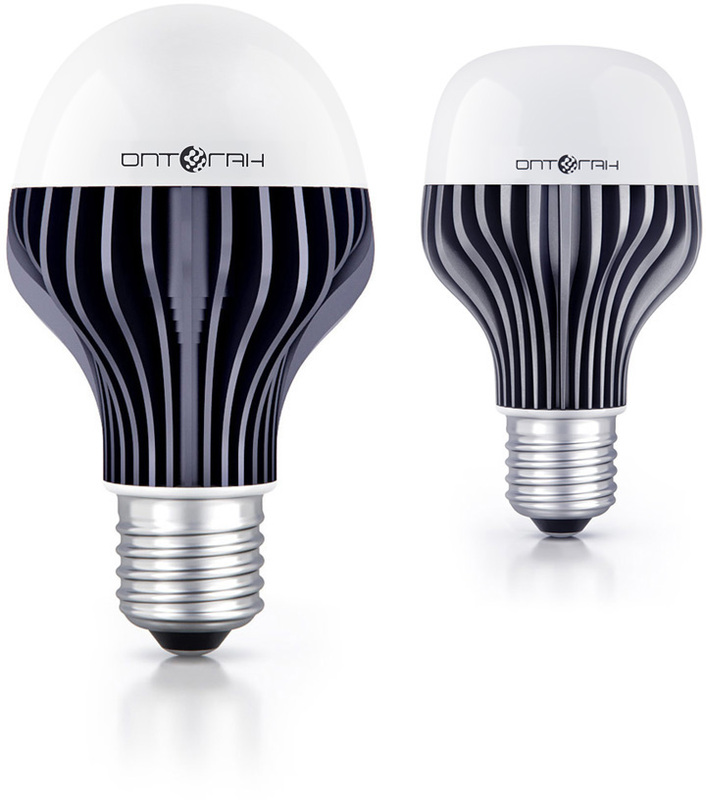 Task: To design the first Russian manufactured LEDs. 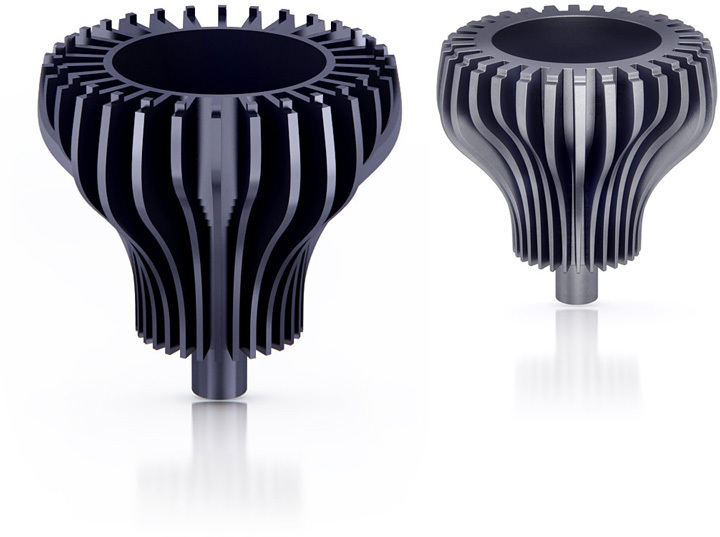 New LEDs by Optogan marry classic lightbulb expectations with the latest in microelectronics and diode technology. 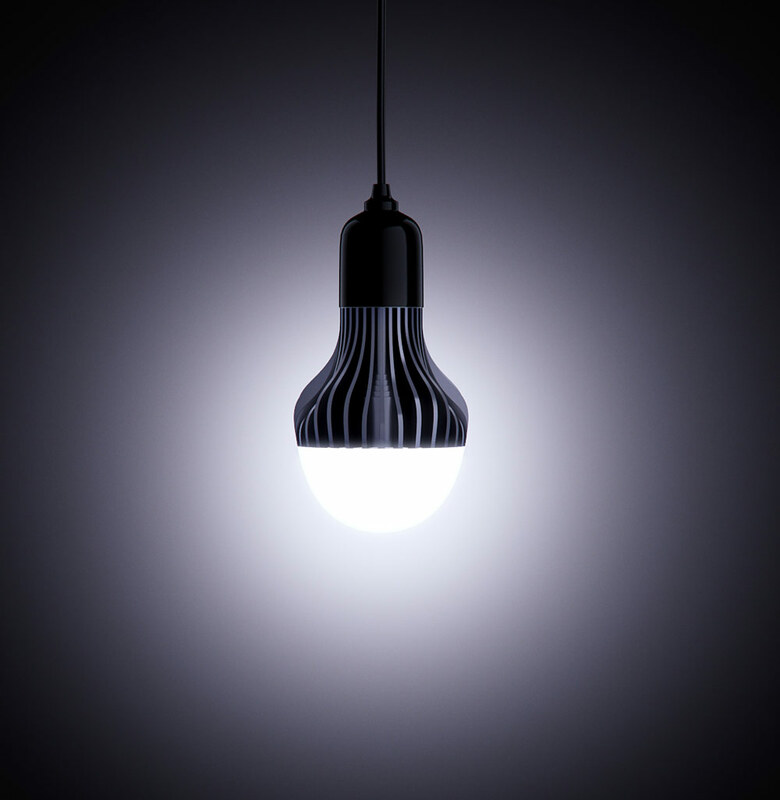 It has the same shape as a standard household bulb, but don’t be fooled by the looks, the beauty shines from within. Literally. The heat dissipating element is a set of hi-tech cast aluminum ribs progressively curving from the base in a pleasant organic way. The wavelike surface contributes to the look and to the cooling function.